CHICAGO — SIGGRAPH 2018 , t he world’s leading annual interdisciplinary educational event showcasing the latest in computer graphics and interactive techniques, has announced that Rob Bredow, senior vice president, executive creative director, and head o f INDUSTRIAL LIGHT & MAGIC (ILM), will deliver the keynote address during this year’s conference. In its 45th year, SIGGRAPH 2018 will take place 12–16 August at the Vancouver Convention Centre. To register for the conference, visit S2018.SIGGRAPH.ORG . 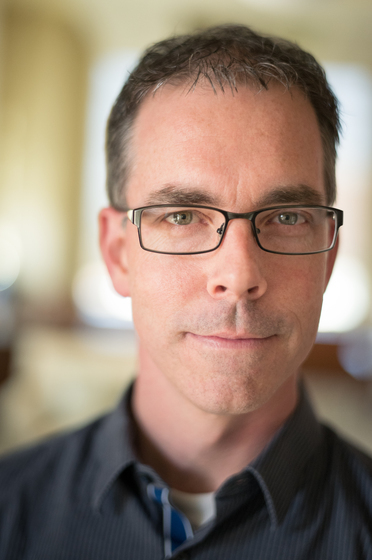 ILM, a Lucasfilm company based in San Francisco, recently announced the promotion of industry veteran and longtime SIGGRAPH conference contributor Rob Bredow TO SVP, EXECUTIVE CREATIVE DIRECTOR, AND HEAD OF ILM , after serving as CTO of Lucasfilm since 2016. Bredow joined ILM as a visual effects supervisor in 2014, and soon afterward was named vice president of new media and head of Lucasfilm’s Advanced Development Group. During his time with Lucasfilm and ILM, Bredow also helped launch its ILMxLAB division in 2015. ILMxLAB combines the talent of Lucasfilm, ILM, and Skywalker Sound to create next-generation immersive entertainment experiences. He adds, “In some ways, I can trace the start of my job here at ILM back to a meeting I had with John Knoll in 2006 while organizing the SIGGRAPH panel, 'Great Failed Idea's in Production,' in which he graciously shared the challenges he faced on ‘Pirates of the Caribbean.’ The spirit of learning from our successes and failures while openly contributing to the advancement of the industry is one of the tenets of SIGGRAPH that means the most to me." Bredow is a strategic and visionary leader with a unique understanding of how media and innovation can join forces to tell great stories and create groundbreaking experiences. In his new role, Bredow is responsible for ILM’s creative direction, strategic initiatives, and global operations. Most recently, Bredow was the visual effects supervisor and co-producer on “ SOLO: A STAR WARS STORY , ” and served as a creative partner to the filmmakers throughout production — from early story meetings to the final frames of visual effects. He leveraged his background in innovative technology to help tell the story of the film, creating grounded images with a unique shooting style. Bredow’s other credits include VR experiment “ TRIALS ON TATOOINE ” and films such as “Independence Day,” “Godzilla,” “Stuart Little,” “Cast Away,” “Surf’s Up,” “Cloudy With A Chance of Meatballs,” and others. Bredow is a member of the VFX branch of the Academy of Motion Pictures Arts & Sciences (AMPAS) and the AMPAS Scientific and Technical Council. Admission into the KEYNOTE SESSION is only available to Business Symposium, Select Conference, Full Conference Platinum, and Full Conference REGISTRATION LEVELS .